Chiropractors have tremendous success treating back pain, neck pain, and headaches. However, chiropractic can have a positive effect on many other health conditions not typically associated with chiropractic. There are many different chiropractic techniques that may be used for adjustments. At The Institute some of the specific chiropractic techniques and methods Dr. Burrup has been trained in include Gonstead, Diversified, Thompson, Activator, Toggle Recoil, Nimmo, sports injury and extremity adjustment. Even a minor car accident can cause injury. Never assume that you are not injured just because there is little or no damage to your car. Seek professional care immediately to treat and prevent minor problems that have the potential to grow over time. TIP: Studies show that ICE applied immediately to the injured area will help keep swelling and pain to a minimum. 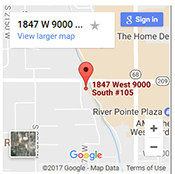 Dr. Trent Burrup is a chiropractor who provides auto injury treatments in Salt Lake City and surrounding areas including West Jordan, South Jordan, Sandy, Draper, Taylorsville, Murray, Riverton, Herriman, Bluffdale, Cottonwood Heights, Holiday, Millcreek, West Valley City, and South Salt Lake. We also provide service to patients that come from the Utah County area and as far north as Logan, and even some from out of state…come experience the difference at The Institute! What is the one of the most helpful ways to prevent and treat arthritis? Exercise! Balanced with rest, it is critical for treatment of arthritis. Chiropractic care can also greatly help the arthritic patient. Chiropractic helps restore the body’s natural ability to function and heal itself, providing more relief to patients with arthritis. Chiropractic can reduce pain, help increase range of motion, lessen stiffness, and help increase circulation and nerve function to all areas of the body by removing interference to those nerves. Dr. Trent Burrup is a chiropractor certified in Class IV Laser Therapy and provides care for patients with arthritis and many other conditions in Salt Lake City and surrounding areas including West Jordan, South Jordan, Sandy, Draper, Taylorsville, Murray, Riverton, Herriman, Bluffdale, Cottonwood Heights, Holiday, Millcreek, West Valley City, and South Salt Lake. We also provide service to patients that come from the Utah County area and as far north as Logan, and even some from out of state…come experience the difference at The Institute! 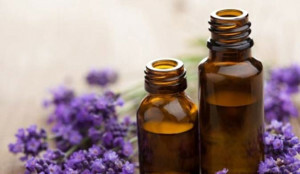 Homeopathic remedies treat a wide variety of conditions such as allergies, hormone imbalances, digestive problems, chronic fatigue syndrome, fibromyalgia, depression, anxiety, colds and flus, etc. The range of problems in which homeopathic remedies can be used is extensive and includes first aid, acute illnesses, and all manner of chronic conditions. 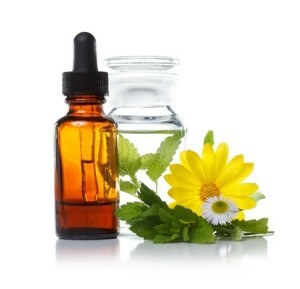 Homeopathy activates the body’s self-healing processes by using very small doses of natural substances from all three realms of nature – plant, mineral, and animal. These activate the body’s systems to initiate the healing response and cure disease naturally, gently and promptly. The speed of results from a Homeopathic Remedy can vary widely, depending on whether the illness is acute or chronic and what the underlying cause of the condition is. In acute illnesses, the appropriate remedy can act within minutes. It is commonplace to see a child who is screaming out in pain with an earache, drop off to sleep in one or two minutes after a dose of the appropriate remedy. Though astounding improvements often take place, instant improvements do not occur in chronic or long-term conditions. Improvements for chronic conditions usually take a few weeks, and may take as long as 1 to 2 months for noticeable improvement in some cases. For more information on Homeopathic Remedies CLICK HERE! Dr. Trent Burrup is a chiropractor who specializes in the use of homeopathic remedies to treat patients in Salt Lake City and surrounding areas including West Jordan, South Jordan, Sandy, Draper, Taylorsville, Murray, Riverton, Herriman, Bluffdale, Cottonwood Heights, Holiday, Millcreek, West Valley City, and South Salt Lake. We also provide service to patients that come from the Utah County area and as far north as Logan, and even some from out of state…come experience the difference at The Institute! Low Back Pain leads to millions of dollars of lost work and untold suffering every day. And studies show that 80% of people will experience back pain at some point in their lives. Many factors can be responsible for Low Pack Pain such as improper lifting, over-exertion, stress, and trauma. Many research studies have shown that chiropractic care is safer and often more effective than back surgery. The simplicity and success of chiropractic adjustments has helped many patients avoid risky surgery….no drugs, nothing invasive, just pain relief. Until recently, researchers believed that back pain will “heal” on its own. However, a recent study showed that when back pain is not treated, it may go away temporarily, but will most likely return. Only 9% of the people who had low back pain for more than 30 days were pain free 5 years later. If your back pain is not resolving quickly, visit your chiropractor. Your pain will often result from mechanical problems that your chiropractor can address. It reduces pain, decreases medication, rapidly advances physical therapy, and requires very few passive forms of treatment, such as bed rest. Studies show that adjustments by a chiropractor are the most effective way to treat back pain! For more information on how a chiropractor can help you, please see our Chiropractic Page on our website. The Institute of Chiropractic & Acupuncture Therapy provides care in Salt Lake City and surrounding areas including West Jordan, South Jordan, Sandy, Draper, Taylorsville, Murray, Riverton, Herriman, Bluffdale, Cottonwood Heights, Holiday, Millcreek, West Valley City, and South Salt Lake. We also provide chiropractic and other holistic services to patients that come from the Utah County area and as far north as Logan, and even some from out of state…come experience the difference at The Institute! 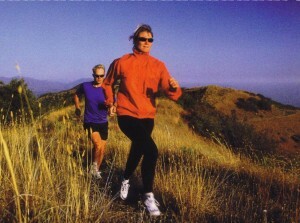 Image courtesy of freedigitalphotos.net.